Are you someone who has lots and lots of tabs open in Chrome? Do you often have trouble with things loading at the speed that you would like them too? Then, The Great Suspender extension might be for you! This extension will put your tabs to sleep when you are not using them. This frees up valuable bandwidth and processing speed. As you can see in the image, this extension has only a few settings to play with so you do have a bit of customization if you want it. 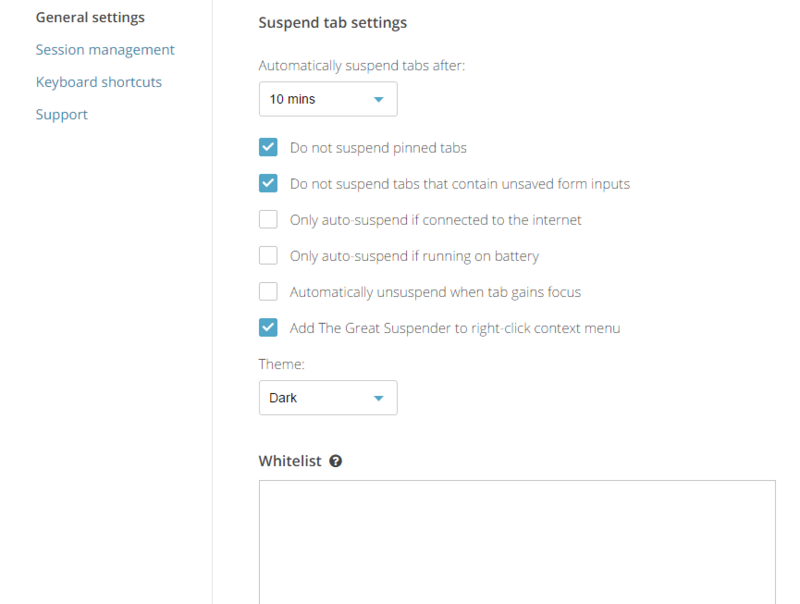 You can choose the number of minutes/hours the extension waits until it suspends tabs; you can set it to suspend when you are on battery; it also allows you to choose the type of tab to be suspended (pinned or not). If you like this extension for its usability, here are a few more of my favorites! 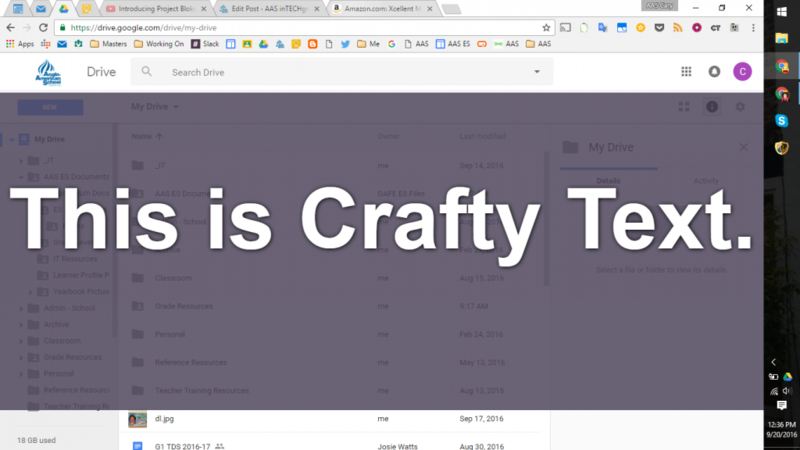 Crafty Text: This allows you to put a small bit of text (like a link or directions) over the top of what is on your screen. Permanent Clipboard: Do you find yourself typing the same comment over and over when giving electronic feedback to students? Try Permanent Clipboard! It allows you to create a bank of comment statements and then insert them into your feedback with a simple right click of the mouse. RSS Feed Reader: Do you have several blogs you follow? This simple RSS Feed Reader may be for you! It allows you to quickly see if there are any new posts on the blogs you read as well as quickly jump to the post in the blog. And remember, when using Chrome, you should see your name in the upper right. If you don’t, sign in. This guarantees that your extensions (and bookmarks, passwords, and more) will be saved and available on any device when you log into Chrome again.